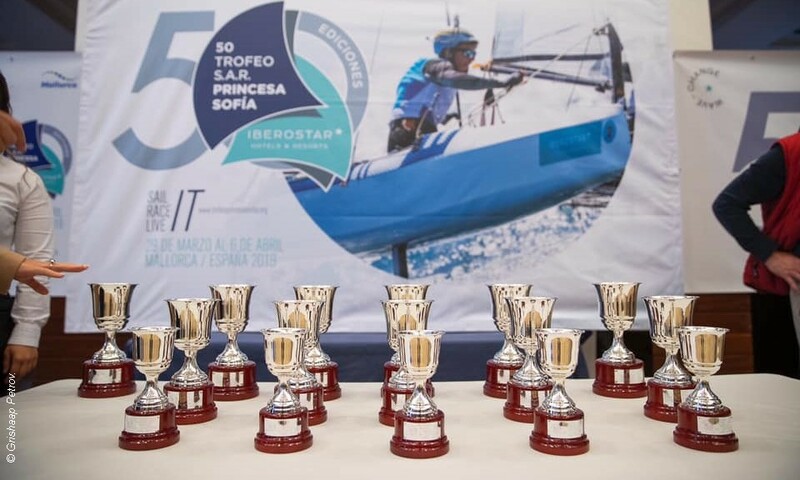 The final day of the keelboats at the Trofeo Princesa Sofia Iberostar on Mallorca on Sunday. The Olympic classes start their series Monday with the final Medal races on Saturday 6 April. In the Dragon class, Ivan Bradbury, Lars Hendriksen and George Leonchuk on GBR 375, had a 14 point lead after eight races completed. In second place were Frank Berg and Anders Halsteen on DEN 266, and in third place Otto Pohlman, Mateusz Kusznierwicz and Charles Nankin. In first place were Lawrence Crisoen, Hector Cisneros and Luka Crispen on GBR274, second David Hitchcock and Ian Nicholson GBR 285, and in third Spain’s Pedro Argon, Joan Fullana, Laura Martinez and Melania Henke. Winners of the J/80 event was ESP 1116 of Francisco Javier Chacartegui with a seven point lead ahead of ESP998 of Helena Alegre and Christian Fornes, with in third place AUS 694 of Kristyn Gills, after eight races. In ORC 1, ESP 8267 of Juan Cabrer won ahead of SUI 7227 of Velum Lucerna, both on 7.5 points after five races. ORC 2 went to ESP 10356 of Miguel Capllonch Ramonell, with second ESP 2008 of Jaume Morell after five races. ORC 3 went to ESP-6252 of María Campins, with second ESP 5285 of Mateo Casanella Palmer after five races.